Install the Google Cloud SDK command-line tool. 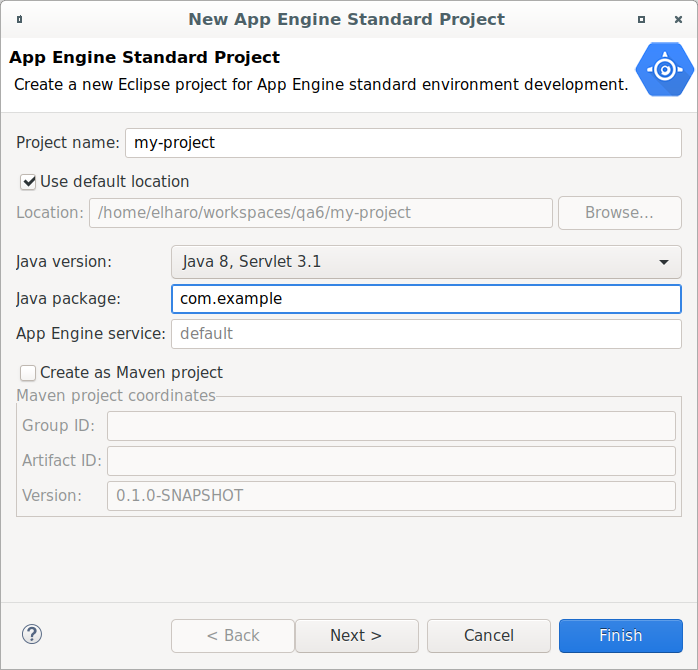 Install and configure App Engine plugins for Eclipse, IntelliJ, Gradle, and Maven. Create a new App Engine project. If you haven't already installed Java SE 8 SDK, install the Java SE 8 Development Kit (JDK). Install the latest version of the Google Cloud SDK. Optionally, to create a service account run gcloud auth activate-service-account --key-file=your_key.json. For more information, see Authorizing Cloud SDK Tools. Gradle will create a skeleton directory structure with two empty classes that are removed in the final rm command. Set -DCloudSDK_Tooling=true to use Cloud SDK tooling. Wait for the project to finish generating, then change directories to the new project directory, for example myapp/. Add the Cloud SDK-based plugin to your project's pom.xml file. Specify the target Google Cloud Platform project ID and the service and version in the plugin configuration. 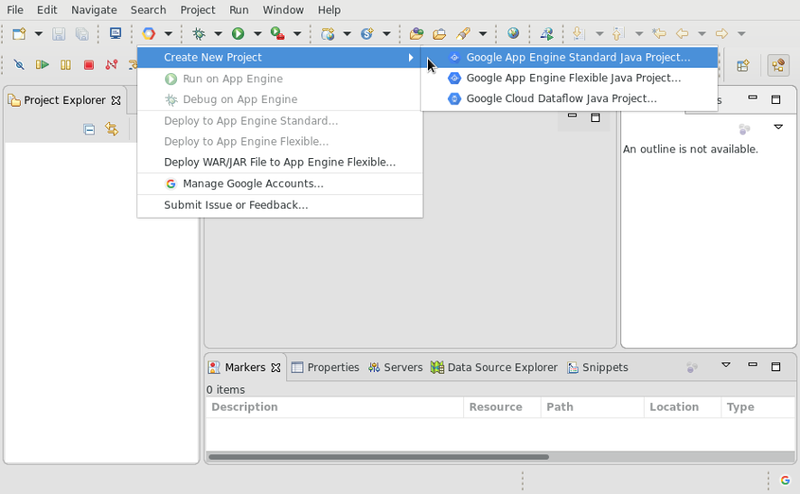 Now that your development environment is set up, you can get started with developing and deploying Java apps to App Engine.